Our Managing in the Creative Economy MA programme bridges the gap between creativity and business. This unique business degree programme enables you to combine your creative experience and skills with a rigorous business education customised for the creative industries. It has been developed by academics and creative economy practitioners at Kingston Business School to help you respond to emerging trends and opportunities to realise value in the creative economy. The programme is designed for individuals who come from creative industries, or have graduated in another discipline, including engineering and humanities. You will need a strong motivation to look beyond the traditional boundaries of your discipline, a readiness to participate in a start-up, and a willingness to work in a multi-disciplinary and experiential environment. You will work with students from all over the world and from different creative sectors. This diversity challenges you to think differently and exposes you to differing perspectives on creativity and business. The programme now has nine generations of graduates and an active alumni network. Our graduates work in a range of creative and leadership positions ranging from freelance work in the creative sector, through to business ownership and employment in large innovative companies in the creative economy. An increasing number of countries has now placed the creative industries at the heart of their economic development. This creates opportunities for professionals who understand the critical success factors for commercialising creativity, and are equipped with the mix of creative and business knowledge and skills. By the end of the programme, you will be equipped with an in-depth knowledge, understanding and skillset required to successfully realise value in a creative economy context. You will also explore the process of collaborative creativity and examine what it takes to successfully develop ideas into innovative products, service and processes. The core of the programme is a real-life business experience; working in a team, you will start and run your own creative industries business in the supportive and risk-free environment provided by Kingston Business School. Our entrepreneurship experts will guide you through the process of designing and running your own creative business, which will help you develop your creative, managerial and entrepreneurial skills. Assessments are innovative and include a mix of individual and group project work and formal assessments, including essays, case studies, reports and presentations, role-play, games and simulations, plus the final Personal Research Project (maximum 15,000 words). You will study in a supportive environment where regular feedback is provided by both academics and professionals. Why study the Managing in the Creative Economy MA? Develop your creative, entrepreneurial, managerial and leadership skills – participate in development of a start-up, pitch to real industry experts at our "Dragons' Den", and engage with a variety of professionals and entrepreneurial businesses. Experience practical work in a chosen creative industry by engaging with a real creative industries business to develop your CV and your understanding of the creative sector. Learn the fundamentals of business management theory and practice from the specific perspective of the creative industries, in the diverse and evolving context of the creative economy. Experience regular visits from industry experts and entrepreneurs, field trips to entrepreneurial businesses and events such as Frieze Art Fair that connect the creative industry to the local community and enable you to build a valuable network. Experience excellent teaching – Kingston Business School is one of only a few of the 120 UK business schools to be awarded an 'excellent' rating for its teaching quality by the Higher Education Funding Council. 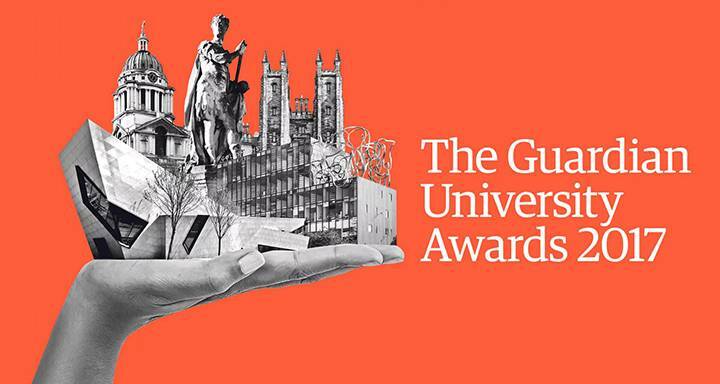 Kingston University has also won a Guardian University Award 2017. The award for teaching excellence included specific praise for the inclusivity and accessibility of the University's courses. Earn a degree with prestigious international accreditation – Kingston Business School has joined an elite group of global institutions to be awarded the prestigious international accreditation by the AACSB (Association to Advance Collegiate Schools of Business). A hallmark of excellence in business education, the accreditation has been earned by just 5 per cent of the world's business schools. Finish the course with an international network of contacts – the programme has an active alumni network and our students come from all over the world to study the course. Will this course suit me? The Managing in the Creative Economy MA is designed for individuals who come from creative industries, or have graduated in another discipline, including engineering and humanities. Are you a creative practitioner? We will give you the opportunity to gain first-hand experience in creating a product or service and taking it to markets. Are you a manager in a creative business? We will help you understand the processes of managing creativity and innovation and enhance your skills as a creative leader with a good grasp of strategy and appropriate business and management skills. Have you got years of experience? If you have substantial experience, you could benefit from undertaking the personal research project that will help you to apply your new skills and expertise to your specialist sector and enable you to identify new opportunities in the creative economy. The creative industries are outpacing traditional industries both in the UK and the rest of the world and an increasing number of countries have now placed the creative industries at the heart of their economic development. However, the growth of the creative industries is a phenomenon of the post-World War II period, and the sector is difficult to define and measure. The first part of the module will be devoted to a critical understanding of the histories and current dynamics of the modern Creative Industries and of western avant-gardism, and their relation to modern capitalism. The second part will be concerned with the critical awareness and understanding of the various challenges facing the creative industries in the UK and in the world: labour issues, the role of technology, the need for funding and investment, the issue of sustainability, legal issues concerning intellectual property (IP), the place of entrepreneurship in the creative industries, and the globalisation of the creative industries. This module will offer you the opportunity to grasp the contradictions inherent to the creative industries and their potential for changing – for better or worse – our societies, economies and cultures. Bridge the gap between creativity and business in this exciting module. You will learn how to develop an innovative product or service and turn it into a viable business by working in a multidisciplinary team. Through design thinking, you'll learn how to identify opportunities for innovation, develop a product that is centred on the user's needs, and design a business model to produce your innovation for the public. Combining skills and courses in new product development, business modelling, social marketing, branding, finance, web design, prototyping, empathy, storytelling and more, you'll learn not only what it takes to become a business creative, but you will also become one yourself. This challenging module is one-year long and combines the knowledge from your background with other modules taken at the University into a live, working business experience. The growth of the creative industries has increased the competiveness of the globalised creative workforce, and students increasingly seek to learn and develop through real-world opportunities where they can apply knowledge, understanding and skills to actual situations. At the heart of creative industries is the notion of artistic creativity. However, far from being the result of individual 'creative geniuses', art works and creativity emerge as the results of a collective process. This is a capability that other sectors now need to understand and emulate. The European Commission's Directorate General for Enterprise and Industry has identified the creative industries as 'drivers of social and economic innovation in the economy'. This module aims to give students the knowledge and understanding of management processes and behaviours necessary for managing creativity and innovation in the creative industries. They will also explore the ways in which these processes can be used in other sectors of the economy. The creative industries are an increasingly significant and dynamic part of the world economy. These industries are epicentres of innovation due to the nature of their work, and as such have been recognised as a link between business, economic recovery and long-term growth in the time of challenges to existing ways of doing things, and when delivering fast and meaningful responses to growing market demands is a priority. Turning ideas into innovative products, services and processes, and developing them successfully, requires a fusion of creative, managerial and entrepreneurship skills. Also required is an entrepreneurial, agile business strategy that can offer resilience, competitive advantage, diversification and positioning in relation to contextual changes in the creative sector that are both structural (disintegration of ineffective business models) and cyclical (new technology and creative workforce supply and demand). One of the most widely reported problems in the creative industries is the lack of strategy and appropriate business and management skills. This module addresses the problem by introducing students to fundamentals of business management theory and practice from the specific perspective of the creative industries, in the diverse and evolving context of the creative economy. The Personal Research Project is a self-initiated project reflecting critical evaluation of all your previous learning. It will draw on the knowledge and intellectual skills you have acquired from the core subjects, and the knowledge and skills you have developed in your creative economy professional practice. Key to this process will be an awareness and understanding of different research strategies and procedures within a variety of contexts. You will become familiar with different research tools and, more importantly, critically evaluate the various tools based on need, context, issues and purpose in relation to problem solving. This module is the culmination of the MA experience, and the most ambitious expression of individual interest, motivation, creativity and ability to deliver. Kingston Business School joins an elite group of the top 5 per cent of institutions worldwide awarded the prestigious AACSB accreditation. The award for teaching excellence included specific praise for the inclusivity and accessibility of the University's courses.